The river again has risen above flood stage after dipping below it, and it remained there Wednesday afternoon, according to the National Weather Service. The Kennebec River remained above flood stage Wednesday even after a period of receding followed by slight rising, while business owners and local officials worry about what lies ahead. 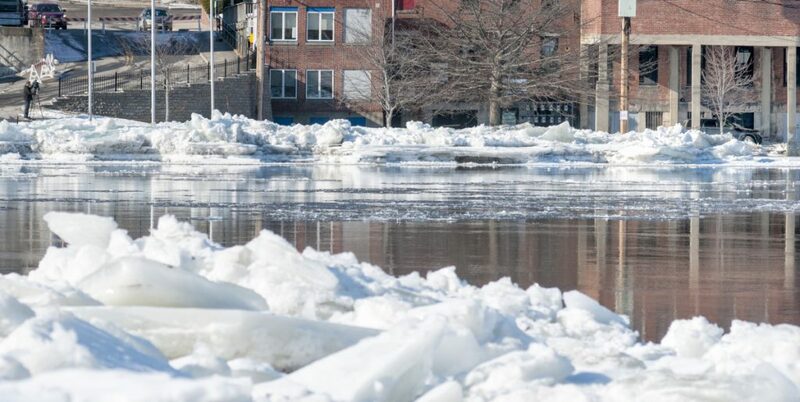 Above-freezing temperature forecast for the weekend and the potential for heavy rain early next week already is concerning locals in Hallowell, where low-lying Front Street was submerged suddenly by icy floodwater last weekend. 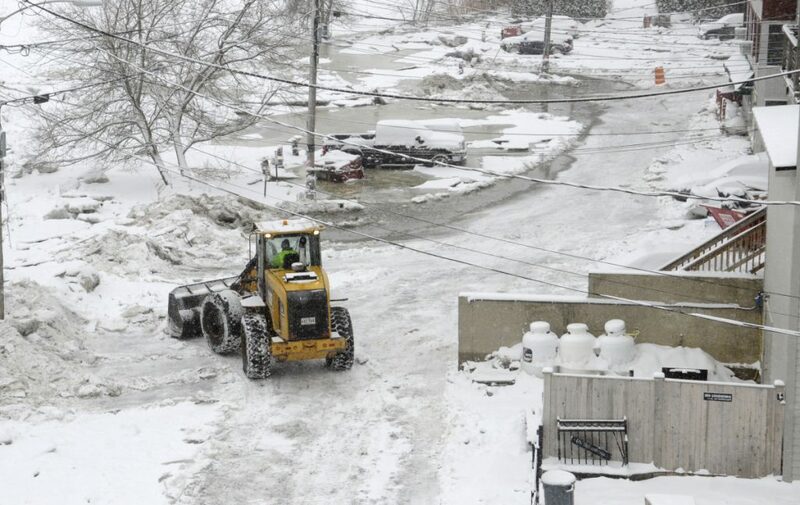 The flooding, prompted by an ice jam after a warm front brought heavy rain last week, ensnared more than a dozen vehicles in shells of ice and forced some businesses to close. Chris Vallee, a co-owner of the Quarry Tap Room in Hallowell, which sustained more than $35,000 worth of damage Sunday morning when 3 feet of water entered its basement, said this is a serious situation that has be monitored. “Until the ice jam breaks, we are at high risk,” Vallee said. Sean Goodwin, the Kennebec County Emergency Management director, said in an email to local officials that a request for the U.S. Coast Guard to break up the ice has been made and the state’s emergency management agency forwarded the request to the Coast Guard. Goodwin said he’d let the group know what happens. 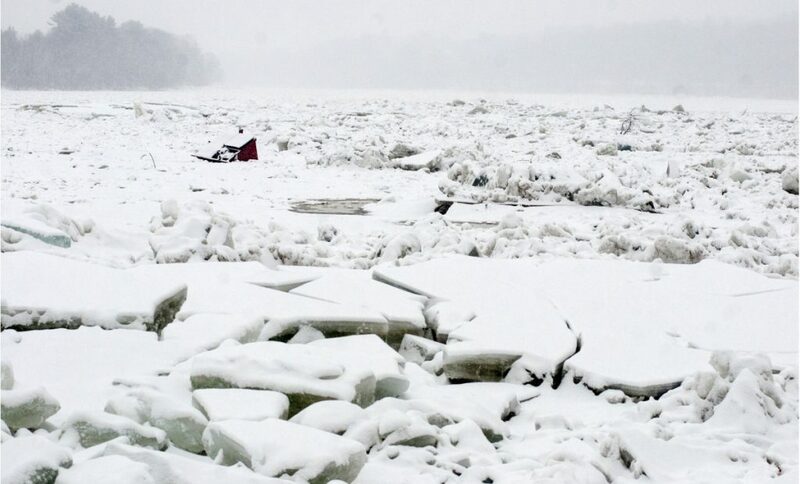 But in an interview with the Kennebec Journal on Monday, a representative from the Coast Guard said it was not planning to break ice on the Kennebec River this week, as it’s more focused on clearing ice from the Penobscot River. The representative also said the Coast Guard decides where to break ice in consultation with the Maine Emergency Management Agency. Sometime after midnight Sunday morning, ice accumulated downstream — near Farmingdale — and created a dam in the river. 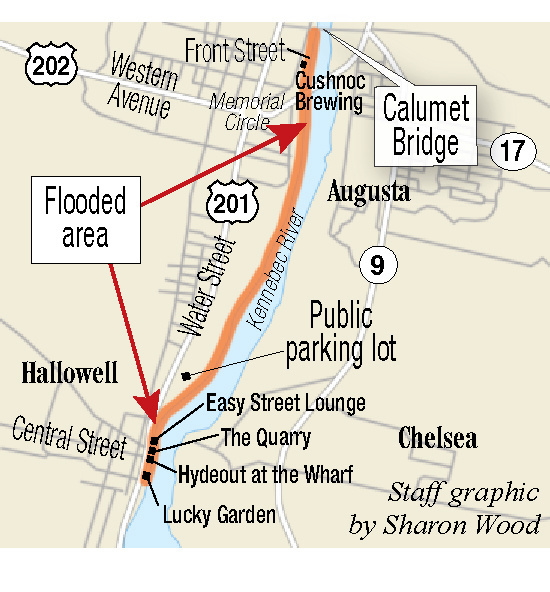 In the course of a few minutes, the water rose about 8 feet in downtown Hallowell and Augusta. Basements were filled with icy water, and while no injuries were reported, there was damage to buildings and vehicles in both cities. Meteorologist Tom Hawley, from the weather service’s office in Gray, said the river was at 12.53 feet and rising as of about noon Wednesday, more than a half-foot above flood level. Several hours later, the water had receded a bit but was still above the flood line. The water level prompted the extension of a flood warning by the National Weather Service through Friday this week and the continued closure of Front Street in Augusta and Front Street in Hallowell. 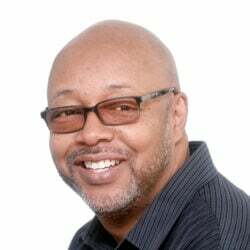 “It’s starting to show a slow decline and should be below flood level by midday Thursday,” meteorologist Michael Ekster said. Hawley and Ekster said warm weather is in the forecast for this weekend, and there is potential for heavy rain on Tuesday that could compound the problems caused by the rising water. 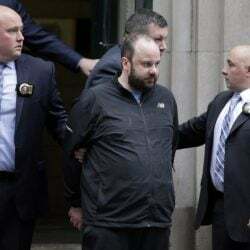 The bar area of Vallee’s business re-opened Wednesday evening, and he said he hopes to have the rest of the restaurant and the kitchen ready by Friday. He said he’s looking ahead to the warmer weather this weekend and the rain in the forecast Tuesday with a lot of concern. Hawley said explosives aren’t used for that purpose because ice would just be blasted into the air, only to fall back down to the river. The weather service initially canceled the flood warning Wednesday morning because the river’s water had fallen below flood level, but the warning was re-issued after the water reversed course and began to rise. The Augusta Police Department said in a news release Wednesday that the potential for hazard was too great to risk reopening Front Street prematurely, even though the temporary displacement created an unavoidable inconvenience for downtown traffic. On Tuesday, a review by the Kennebec Journal found that Kennebec County and Hallowell officials didn’t heed a flood warning the National Weather Service had issued hours before the water encroached, signaling an apparent breakdown in communication. Previously, local officials have acted on such warnings by alerting people in low-lying areas. But city officials, including Chief Eric Nason, of the Hallowell Police Department, and City Manager Nate Rudy, spent time Wednesday morning warning businesses and residents along Water Street that the river was rising again. 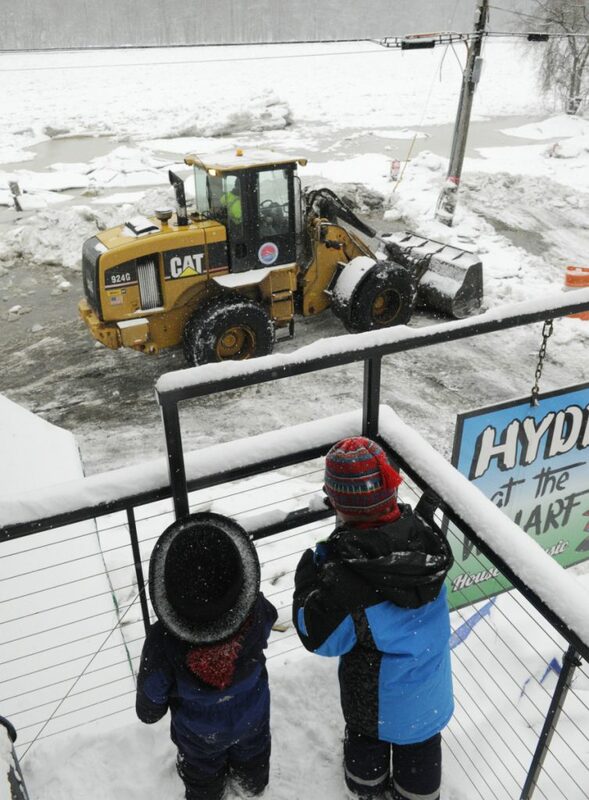 The city’s Public Works Department continued to work on removing ice from the area using bucket-loaders, and the street will remain closed indefinitely. Rudy said the decision was made to notify people and make sure they were aware of the fluctuations of the river’s level. By Wednesday afternoon, there were still 10 vehicles left — out of the 17 — on Front Street waiting to be towed or removed. “People need to use common sense and be mindful when parking or receiving deliveries,” Rudy said. At its peak, the Kennebec River in Augusta surged above the 12-foot flood stage, reaching close to 20 feet, which is the third-highest crest on record in Augusta.